West Island School is committed to safeguarding and promoting the welfare of children. We expect our staff, volunteers and visitors to protect young people from harm through their values, words and actions. Specifically, to accord the rights endorsed in the United Nations Rights of the Child. West Island is a dynamic and multi-cultural work place. Our 100 strong teaching staff hail from across the globe and are committed and passionate about learning and student development. We welcome teachers from every nationality and culture to join our international community school to inspire students to become successful global citizens. In addition the 65 support staff who aid the day to day work of the school are also multinational and work in a supportive and community minded atmosphere. 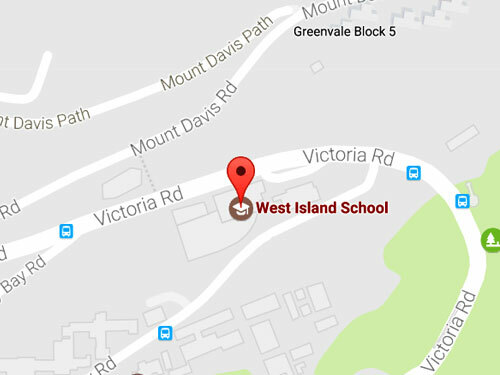 West Island School has an annual recruitment process which can start as early as October for teaching staff with the main recruitment window in January Vacant positions will be advertised on this page and also on the ESF website. To apply for any post candidates must apply online through the ESF intranet. All candidates for teaching positions are required to have a teaching degree. On occasion posts may be advertised outside of the main recruitment round and candidates should visit this and the ESF site to read of these openings. Support staff positions may be advertised at any time during the year. As part of the employee recruitment process, we undertake screening checks including employment and work history, education, certifications, credentials, sexual conviction records, criminal records and any other relevant records in the media and public sources. Failure to provide accurate and complete information may disqualify candidates from consideration for employment and future termination of contract. Further details of pre-employment screening can be found here. Please view the WIS Professional Behaviour for Teachers & Other Adults Working with Children & Young People in School booklet located here. Interested parties please apply via the ESF recruitment system (http://recruit.esf.edu.hk). Applications through any other means will not be considered. The website is updated on a regular basis. Please come back to check for any potential vacancies regularly.